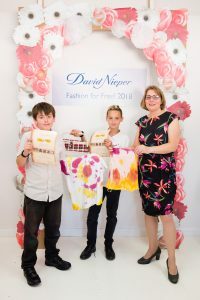 Over one hundred primary school children aged 5-11, have taken part in the annual ‘Fashion for Free!’ design competition at David Nieper fashion house in Alfreton. The competition which is in its 8th year has been established to help encourage children to use their imaginations, be resourceful and learn how to create and make things. The ‘fashion through the ages’ theme has sparked the imagination of children from local schools including Copthorne Church of England Junior School, Mundy Church of England Junior School, Swanwick Primary School and Woodbridge Primary School. 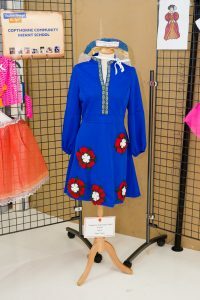 Children were asked to create an item of clothing, hat or bag by re-using scraps of material, old clothes and unwanted odds and ends from around their homes and school to create an original design. The results were outstanding and the children produced a unique collection of cleverly thought out and beautifully created designs. This year’s winners included Erin Bowden (5 ) from Swanwick Primary School who impressed the judges and was awarded first prize in the ‘Best Made’ garment category for her sixties inspired dress in striking monochrome black and white. 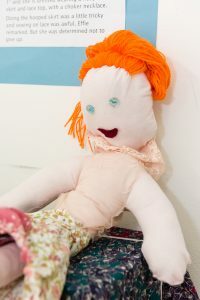 Effie Trower (5) from Munday Junior School was also given first place for the ‘Most Inventive’ design for her ragdoll, stylishly dressed in a hooped skirt, lace top and choker necklace. 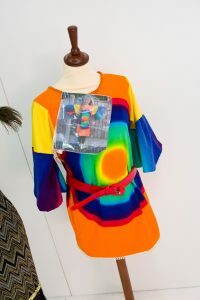 The first place in the ‘Most creative’ category went to Year 6 design duo Ethan and Louis from Woodbridge, who perfectly captured the spirit of the seventies by designing an outfit using a tie-dye technique to apply bright colours and bold patterns to their outfit. “What a fantastic display of talent! Some of these children are only 5 years old and their ideas and needlework skills are exceptional. It is really heartening to see the enthusiasm these children have shown for designing and making things. 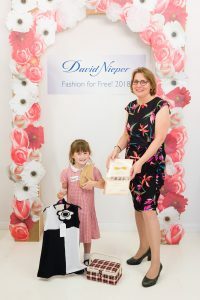 Prizes were awarded to the children by Dr Kathryn Hobbs, Headteacher of the David Nieper Academy and as part of the day’s activities the children were given an interactive tour of the David Nieper fashion house. 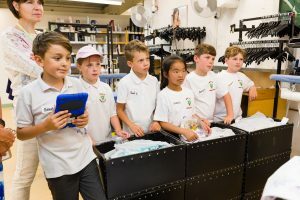 They visited the sewing rooms and design studio, where they were able to watch designers and dressmakers at work, and they learned about how clothes are made from start to finish. 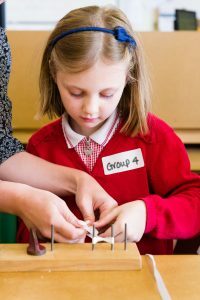 The children also had the opportunity to join in fun, craft and sewing activities during the day including button and bow making as well as practicing their cross stich, before the presentation of prizes.